Super Mario cake. . HD Wallpaper and background images in the Nintendo club tagged: nintendo super mario cake mario pirhana plant luigi goomba food. 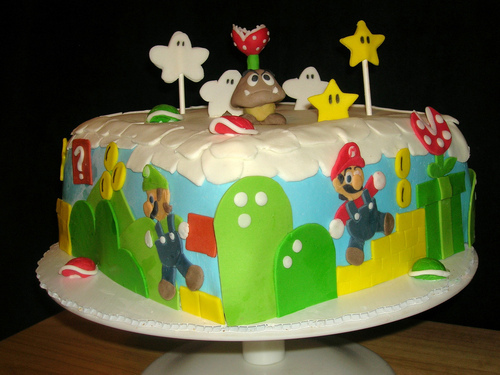 This Nintendo photo might contain tutti frutti, gumdrop, and cupcake.